From design to installation, Bayside Joinery Co can handle all of your home building needs. 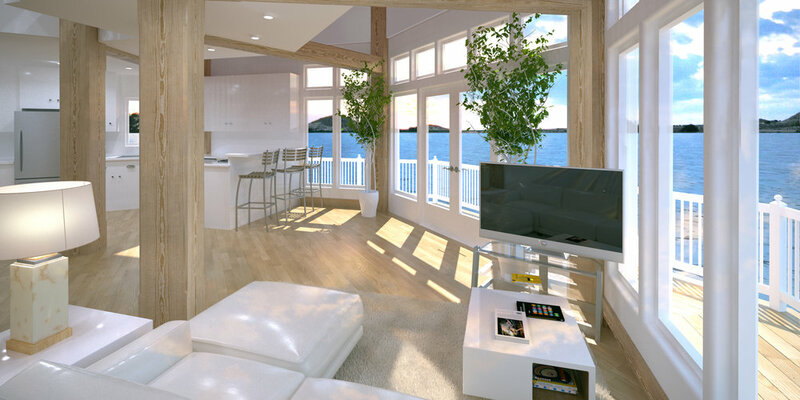 Bayside Joinery Co. manufactures cutting edge home building products including engineered structural timbers, structural insulated panels and unique architectural woodwork. Blending these products, we have developed a building system enabling us to design and manufacture coastal homes unlike anything you’ve seen. 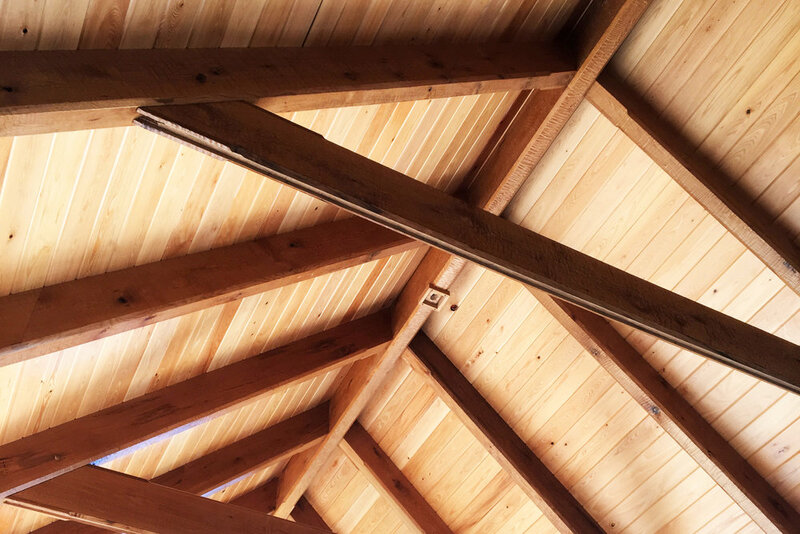 Creative designs, the strength of timber frames / SIPs construction, fiberglass protected exteriors and the warmth of natural wood architecture are but a few of the features that set our homes apart. 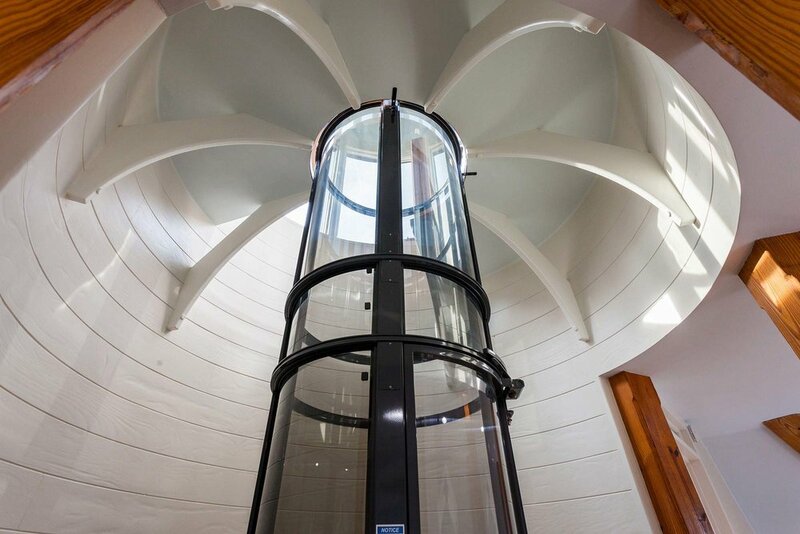 We are a Class A Virginia contractor and can handle everything from design to installation. "Hurricane resistance" is a bold statement. Bayside Joinery Co. takes an entirely different approach when it comes to standing up to hurricanes. Click here to learn more about our ready-to-assemble home building systems. We've taken our Hurricane-Resistant techniques and scaled them down to create the strongest, most durable tiny house on the market today. Click here to visit the dedicated Bayside Tiny Homes website. Because we build all of our custom home components at our shop in Mathews, VA, we have the ability to manufacture home building products for builders and contractors alike. Click here to learn about our Timber Frame Products. Structural Insulated Panels, or SIPs, are a major part of what sets us apart from our competitors. SIPs provide superior strength and insulation when compared to a stick-built wall. We build all of our SIPs at our shop in Mathews, VA. Click here to learn about our Structural Insulated Panels. Our Integrated Frame and Panel building system is the backbone of our hurricane-resistant homes. All of our homes are built as components in a controlled environment and assembled on-site. Click here to learn more about the unique methods we use to ensure that your home lasts for generations to come. 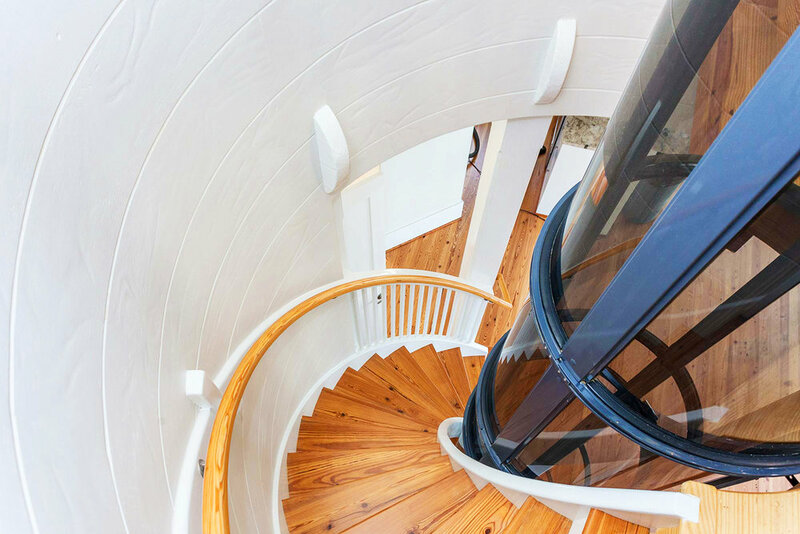 Decks and Stairs are a specialty of Bayside Joinery Co. Our signature mortise and tenon joinery makes our decks far superior to other standard decks you'll find out there. These structures are meticuliously designed and guaranteed to withstand the elements.